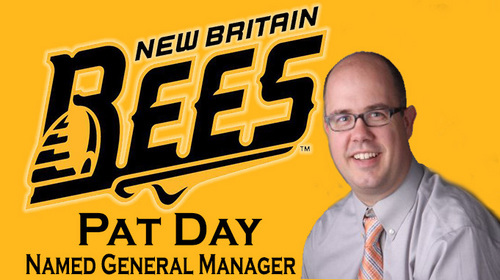 (New Britain, Conn., December 8, 2015) – New Britain Bees ownership today announced the hiring of Patrick Day as the team's first General Manager. Day will be in New Britain on Tuesday, December 15 at 11:30 a.m. to hold a press conference at which he will be introduced to the media and will name the team's first ever Field Manager. the press conference will be held at City Hall in Room 504.